In this article, we will compare the advanced Samsung Galaxy Note 2 and the budget smartphone Karbonn A30. Samsung Galaxy Note 2 smartphone is an upgraded version of Galaxy Note. The Samsung Galaxy Note 2 smartphone has lots of new and interesting features than Karbonn A30 smartphone and the most important thing that is the branding of the Samsung. After the Nokia, Samsung is the most trusted smartphone brand in the India. 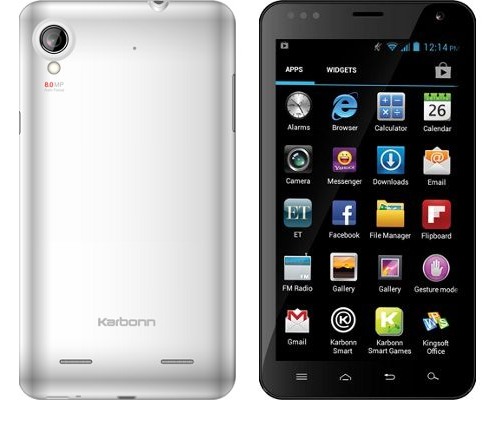 While Karbonn is recently available brand in the market but has got attention for budget Karbonn smartphones. The Samsung Galaxy Note 2 smartphone has large 5.5 inches HD 1280 x 720pixels screen resolution sAMOLED display that also supports “S Pen.” On the other hand, the Karbonn A30 smartphone comes with the 5.9 inches 480 x 800 pixels screen resolution LCD type display. The Samsung Galaxy Note 2 and Karbonn A30 smartphone have the same rectangular plastic body design with rounded off edges. On the other hand, the Karbonn A30 has plastic rounded off edge body design, but the Samsung Galaxy Note 2 is little slimmer than Karbonn A30 smartphone. The Samsung Galaxy Note 2 smartphone has super-fast1.6Ghz of Quad Core Processors along with massive 2GB RAM memory. On the other hand, the Karbonn A30 smartphone has only 1.0Ghz of Dual Core processor with 512MB RAM memory. Regarding the performance, the Samsung Galaxy Note 2 smartphone is the best option to buy. 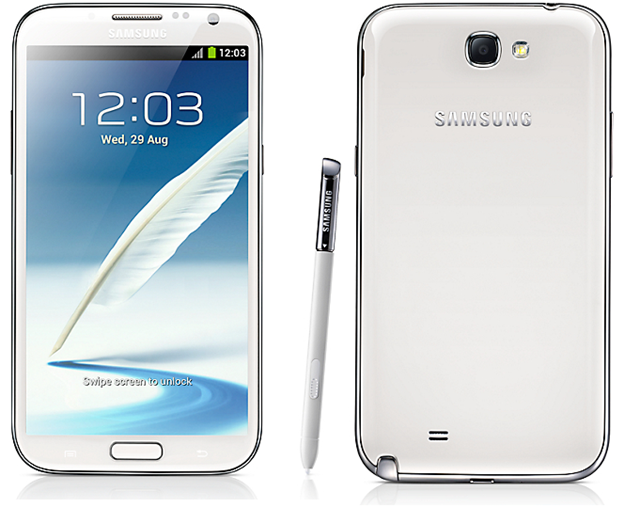 The Samsung Galaxy Note 2 smartphone runs on TouchWiz UI based on Google’s Android v4.1 Jelly Bean Operating system. On the other hand, Karbonn A30 smartphone runs Android v4.0 Ice Cream Sandwich Operating system. Google’s Android v4.1 Jelly Bean is the upgraded version of 4.0 Ice Cream Sandwich operating system that comes with the new User interface and features. So, the Samsung Galaxy Note 2 is the best choice to buy. For the photography, the Samsung Galaxy Note 2 smartphone is the best smartphone than Karbonn A30. The Galaxy Note 2 smartphone comes with the 8.0 megapixels of CMOS image sensor HD Primary Camera with Led flash light. The Primary camera of Galaxy Note 2 provides high resolution pictures and video with sharp and bright colors. It also has 1.9 megapixels of CMOS sensor Fixed focus Front-facing camera. On the other hand, the Karbonn A30 smartphone also comes with the same 8.0 megapixels high-resolution Primary Camera with LED flashlight. It also equipped with the 1.3 megapixels of fixed focus front facing camera. For the Storage, The Samsung Galaxy Note 2 smartphone has 16GB of Internal Onboard Storage that can be expandable up to 64GB via MicroSD card slot. On the other hand, the Karbonn A30 smartphone has only 4GB internal onboard storage with the expandable option up to 32GB via MicroSD Card slot. The Samsung Galaxy Note 2 smartphone packs a massive 3100mAh Li-ion removable battery pack that provides up to 12 hours of talk time on the 3G network. On the other hand, The Karbonn A30 smartphone has only 2500mAh Li-ion battery that provides up to 10 hours of talk time on the 2G network. Regarding the Camera quality, Display, Battery life, performance, Storage, RAM, the Samsung Galaxy Note 2 is the best Android smartphone than Karbonn A30, if you want to pay extra for additional features like S Pen, S Note, Voice memo and much more. But you are looking for the smart budget range smartphone with standard smartphone features and big screen then the Karbonn A30 is the best choice for yours. The Karbonn A30 smartphone is low budget range smartphone and while the Samsung Galaxy Note 2 comes with the high price tag. Now your turn to decide which smartphone would be a better for your pocket.